Get the FREE Bonus Stories! Learn about Miranda’s troubled past and more! Sign up for Linsey’s spam-free New Releases mailing list and get a free copy of the bonus stories. 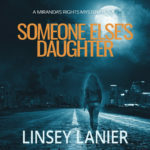 Note: If your favorite book distributor isn’t listed, navigate to the site and enter “Linsey Lanier” in the search box.